Did I tell you we’re off to the printers? YES!! Yes we are! Paleo Home Cooking is now officially being printed. OMG this is so exciting! It won’t be long now, before I finally get to flip through the pages of my very first cookbook. I SO can’t wait to receive my first copy! Do you think that it would be okay for me to drink champagne for the occasion? HA! I think I will! Hey, this is quite the event after all, and I say it definitely calls for celebration. What, you didn’t think I was gonna let you down, did you? Or that I would dare forget? No way! There is a saying in French that goes: “Chose promise, chose due”. Simply put, it means that when you promise something, you downright owe that thing. 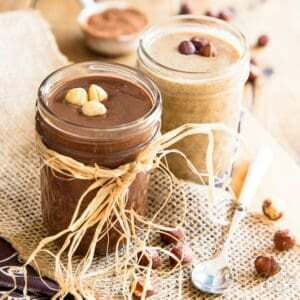 As promised, I am sharing one of the 21 delicious nut butter recipes that you can find in Paleo Home Cooking: a Dark Chocolate Hazelnut Spread recipe, commonly referred to as Homemade Nutella. Did you happen to notice how unbelievably smooth and deliciously creamy that stuff is? And the flavor, it’s so INTENSE, so chocolate-y and suh-weet! Just you wait until you get a taste of it. You’ll want to just stand there and finish the whole jar in one sitting, with nothing but a spoon for equipment. And then, chances are you’ll want to get busy and try another recipe from that same chapter right away! Might I suggest the Cinnamon Roll Nut Butter? 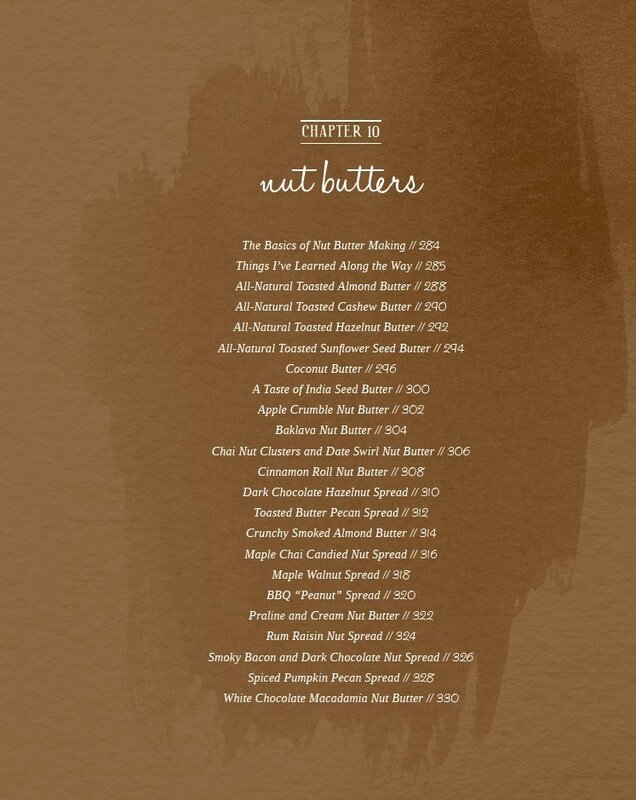 Or the Smoky Bacon and Dark Chocolate Nut Spread… that one is my personal favorite! I’d say if you’re gonna do that, though, you’re gonna need a good, strong, reliable Food Processor. Lucky for you, I happen to be giving one away! That’s right. 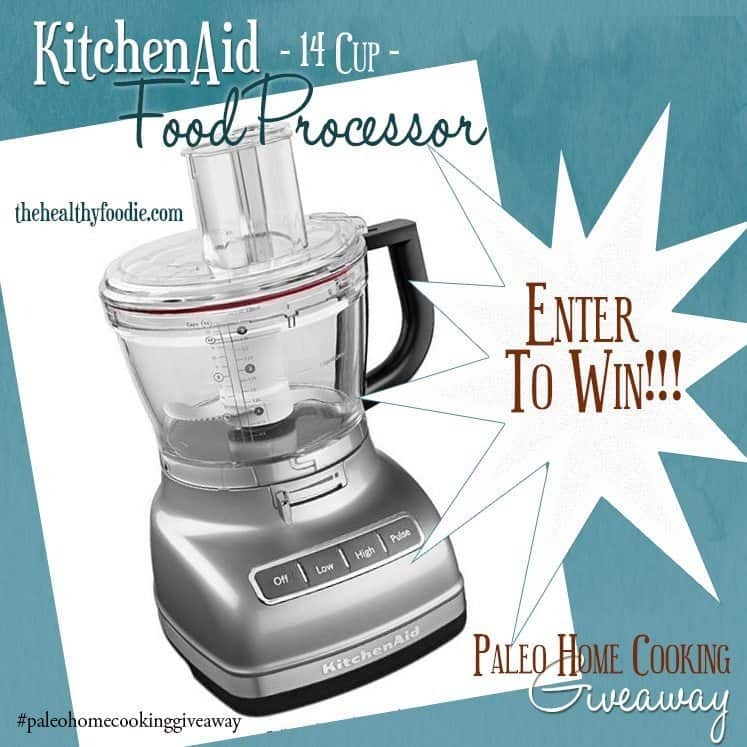 In case you missed it, I decided to give away a brand spanking new 14cup Kitchenaid Food Processor to celebrate the release of my very first cookbook, and to help you whip up all the delicious recipes that the book has to offer, ESPECIALLY the nut butters. If you haven’t entered yet, I strongly suggest that you go and do that right away. You only have until end of day Monday, August 24, and as it stands now, the odds of winning are pretty high! Will you be the lucky winner? We’ll find that out very soon. If you’re gonna win, though, you gotta enter first. 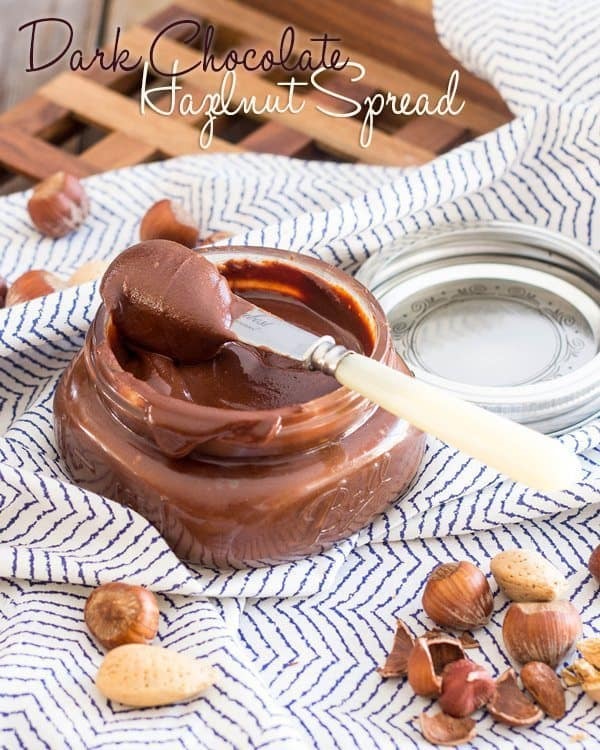 And after you’ve entered, get busy whipping up a batch of this delicious Dark Chocolate Hazelnut Spread! 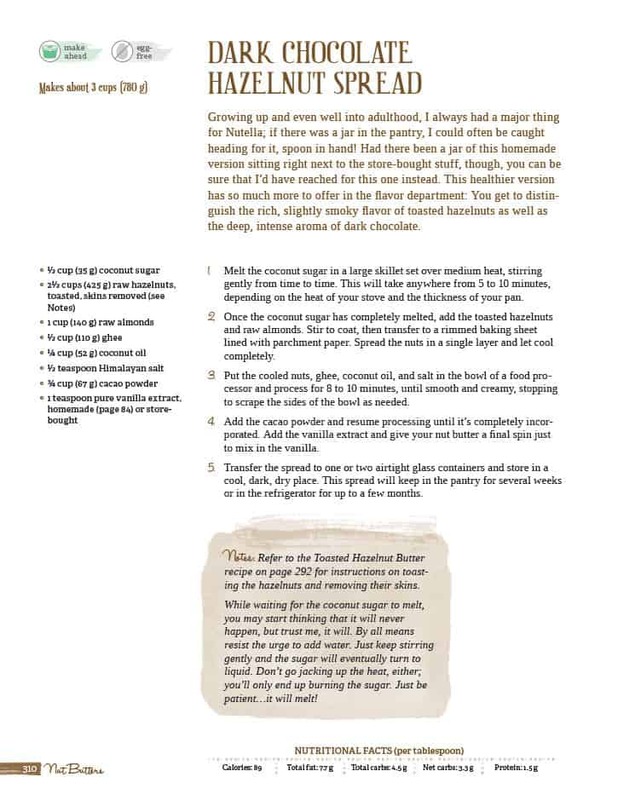 The designers at Victory Belt did such an amazing job and made each and every single page look so pretty, I wanted to share the actual recipe with you as it appears in the book. However, for the sake of convenience, I’ve also added it to the plugin so you can easily print it and take it with you to the kitchen. Melt the coconut sugar in a large skillet set over medium heat, stirring gently from time to time. 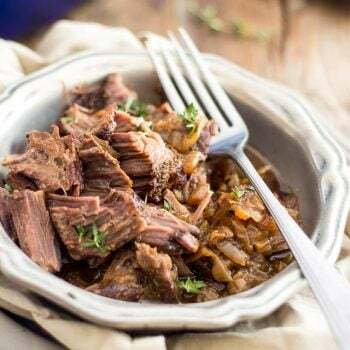 This may take anywhere from 5 to 10 minutes depending on the heat of your stove and thickness of your pan. 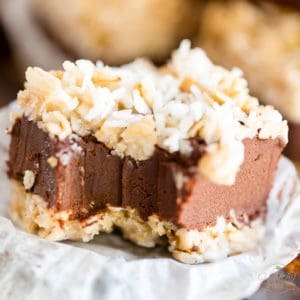 Once the coconut sugar is completely melted, add the toasted hazelnuts and raw almonds. Stir to coat, and transfer to a rimmed baking sheet lined with parchment paper. 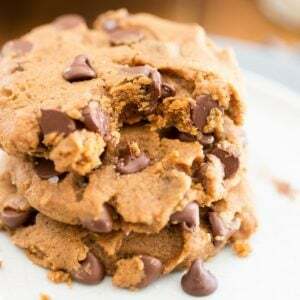 Spread in a single layer and let cool completely. 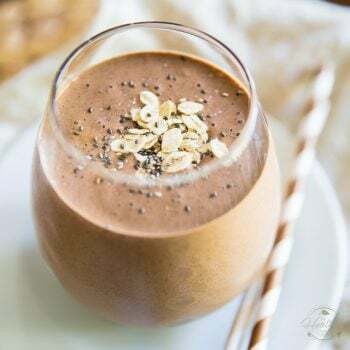 Put the cooled nuts, along with the ghee, coconut oil, and salt into the bowl of a food processor and process for a total of 8 to 10 minutes or until smooth and creamy, stopping to scrape the sides as needed. Add the cacao powder and resume processing until it’s completely incorporated. Add the vanilla extract and give your nut butter a final spin just to mix it in. Transfer to airtight containers and store in a cool, dry place. This nut butter will keep for several weeks in the pantry and up to a few months in the refrigerator. *The Toasted Hazelnut Butter recipe in the actual book has detailed instructions on how to toast the hazelnuts and remove their skins. Tip: While melting the coconut sugar, you may eventually start thinking that it will never happen but trust me, it will. By all means, resist the urge to add water. Just keep stirring gently and the sugar will eventually turn from solid to liquid, you’ll see. Don’t go jacking up the heat either: you’ll only end up burning the sugar. Just be patient… it will melt! I received my shipping date estimate from Amazon yesterday. I am so excited. I love your blog. 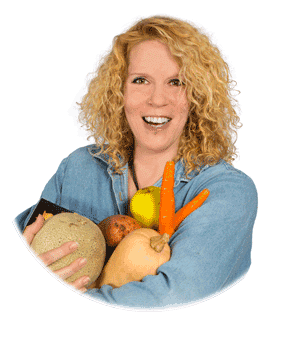 Sonja, you will be happy to know, yesterday when my daughter Miss 4 wanted to do some cooking we went straight to your website and she saw this and said…. “Mum lets make this!!! 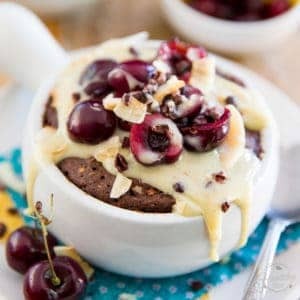 !” while I didnt have the ingredients to make it – it is on the list for next week, when she is home again. THANK YOU for even inspiring 4yr old!! YAY! That is fantastic, Carmel! 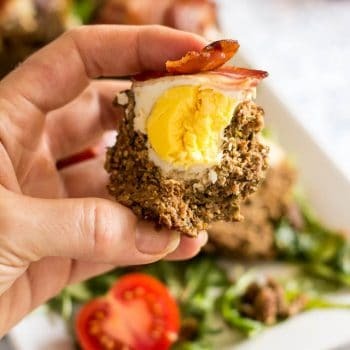 Hope the lil’ Miss 4 like this stuff more then she does the other “not even close to being healthy ready-made concoction”… Can’t wait to hear what she thinks! And what do you mean, Mike’s book is more like a text book? What are you using to track your calories? I can’t wait to make ALL of those nut butters! 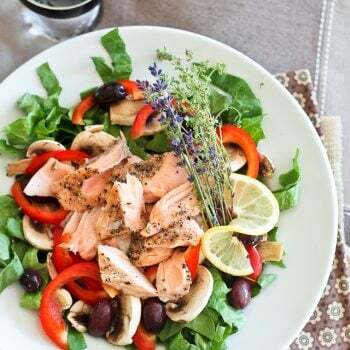 This looks freaking amazing…and I’m sure it tastes even better! 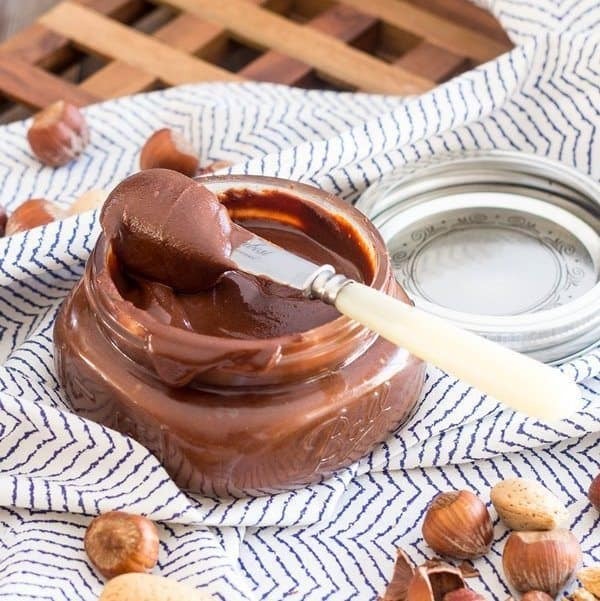 Homemade nutella! What a treat! I’m not a fan of butter or ghee, is there any substitute? I’m afraid it just wouldn’t be the same without it, Felicia. You could use coconut oil, but it would make for an entirely different gustatory experience. That’s odd… I used a stainless steel skillet, but your pan should’ve worked just fine. What kind of coconut sugar did you use? Was it the finely granulated sugar? Hmm I wonder it the type was the issue. 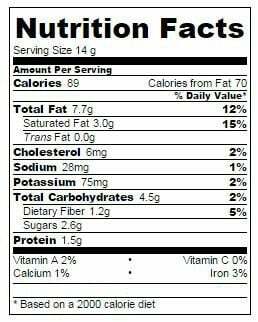 It was Aunt Patty’so organic unrefined coconut sugar. Seems like brown sugar in look buto maybe there is a finer grind. This is what sells in my area. I will need to look into that. Thanks for the suggestion. It sounds like it would be the right stuff… perhaps it’s the enamel then. Frankly, I’ve never really cooked in enameled cast iron, so I can’t really judge. Maybe just try melting a little bit of sugar in a stainless steel pan, to see if your results would be different?